The utility that makes difference. 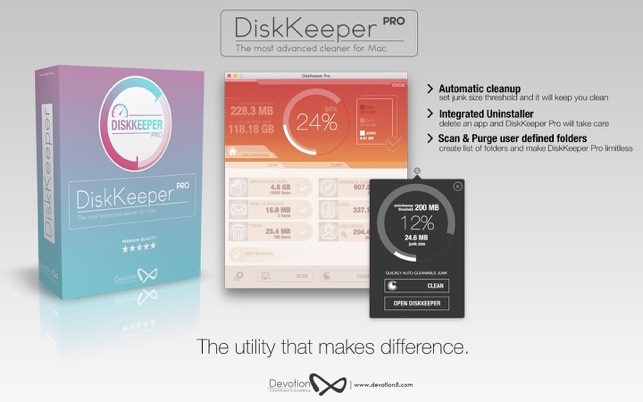 DiskKeeper Pro comes with integrated uninstaller. 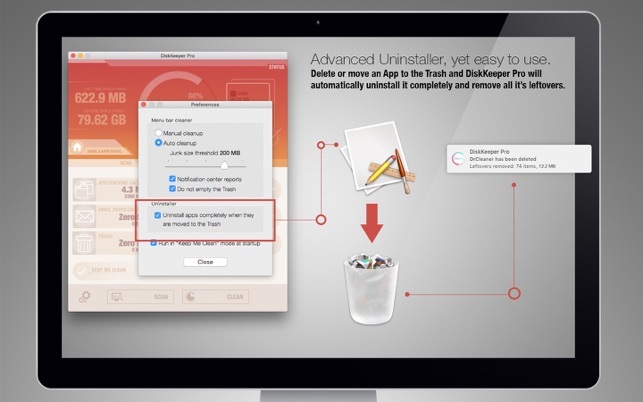 Once enabled from the preferences the Uninstaller will automatically perform complete uninstall and remove all the leftovers of any app you delete or move to the Trash. Note: DiskKeeper Pro needs to run in "Keep Me Clean" mode in order this feature to work. 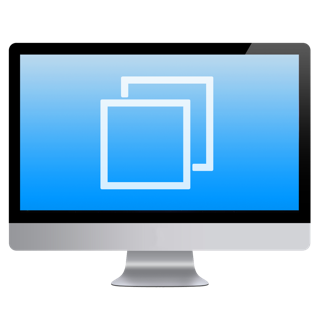 Add your own folders to scan and purge and make DiskKeeper Pro limitless. DiskKeeper Pro also provides you with smart suggestions for some applications and data folders that are safe to be purged like: Viber Downloads, XCode Derived Data, iOS updates and more. "If we could get other developers to mirror your responsiveness it would be a boon for us all. Thank you." In case of no (or low) satisfaction we will refund you in 1 (one) business day.